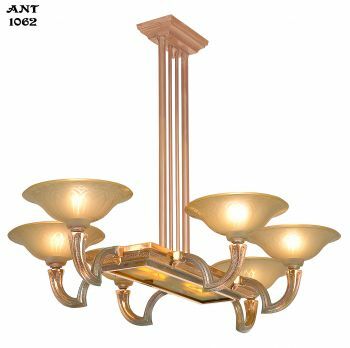 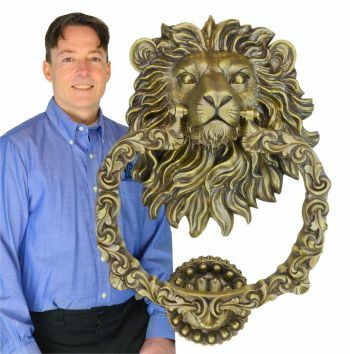 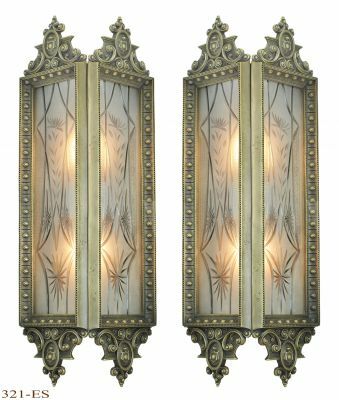 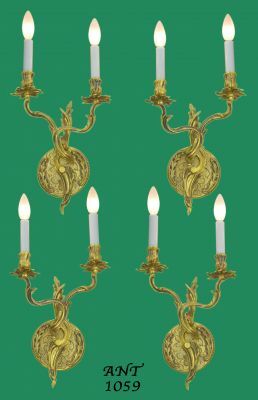 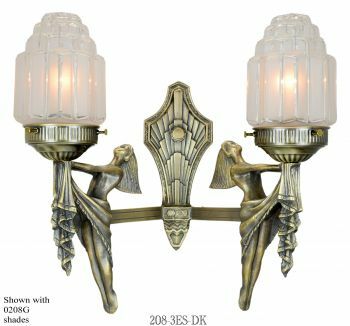 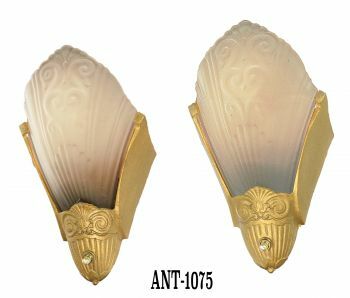 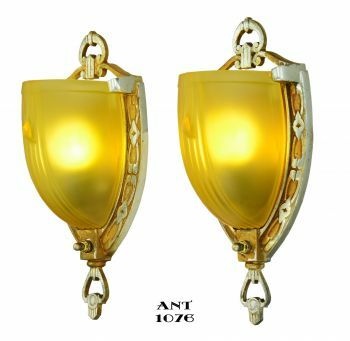 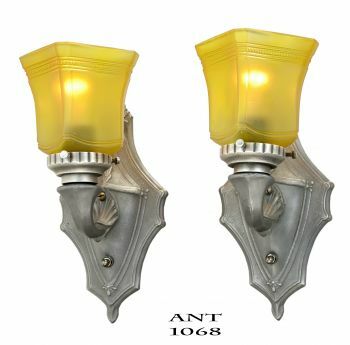 The backplates are brass metal with a subdued antique finish. 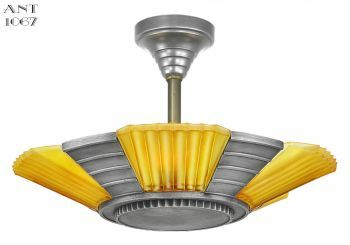 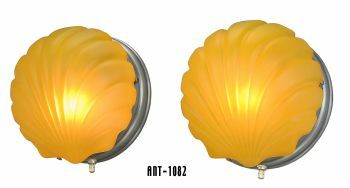 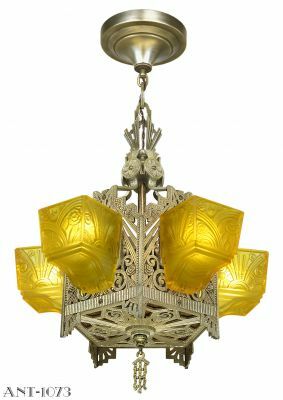 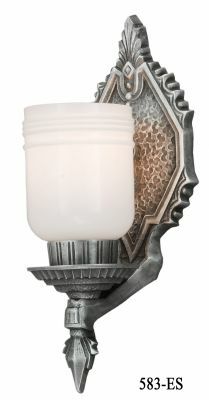 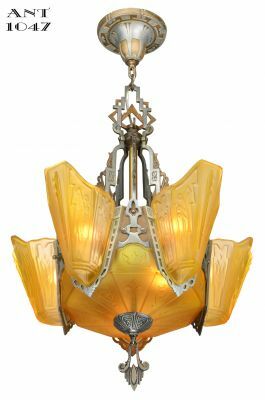 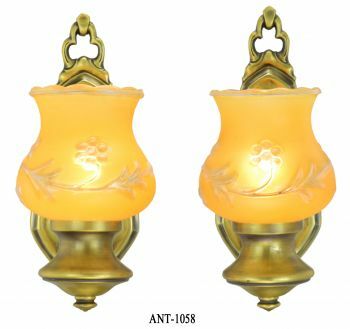 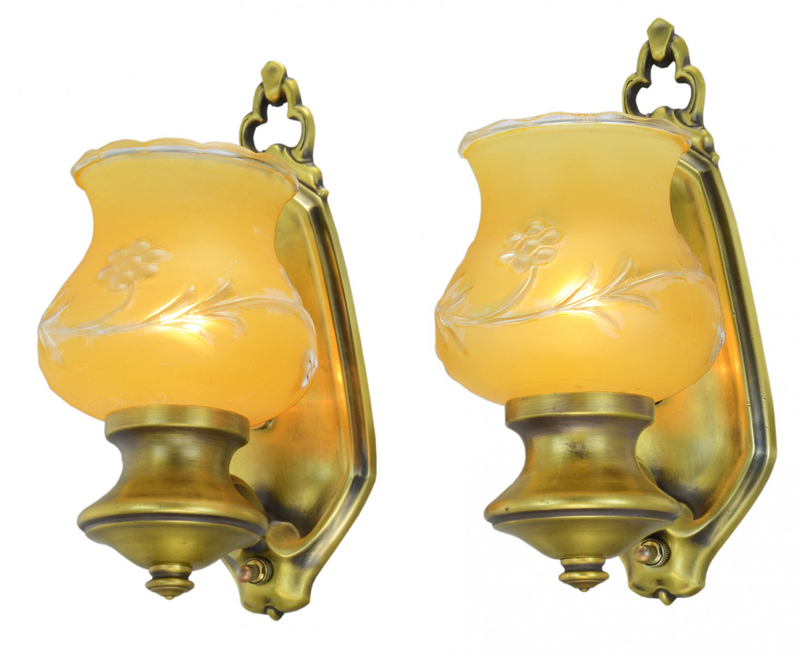 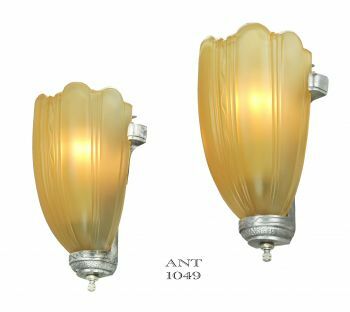 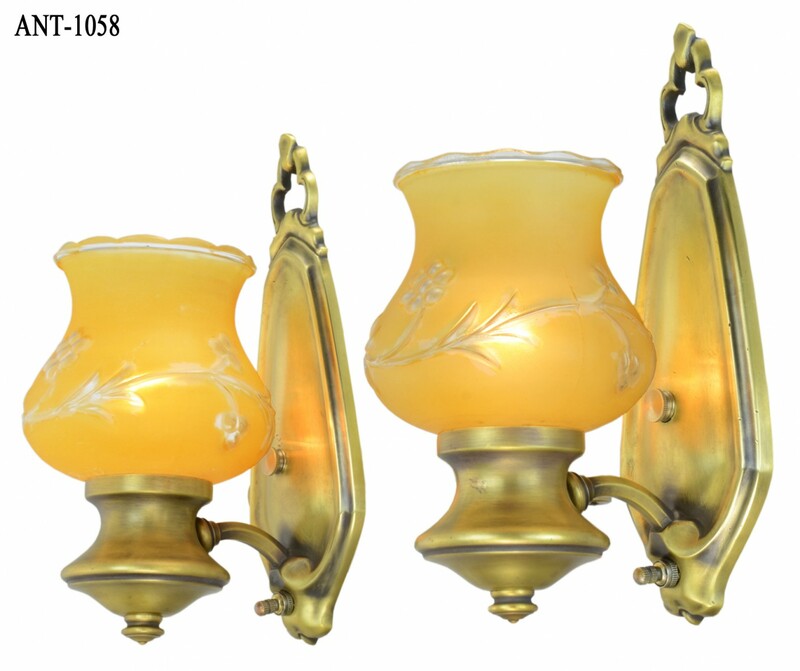 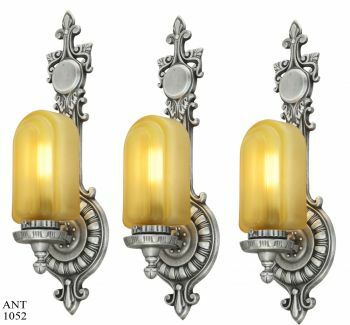 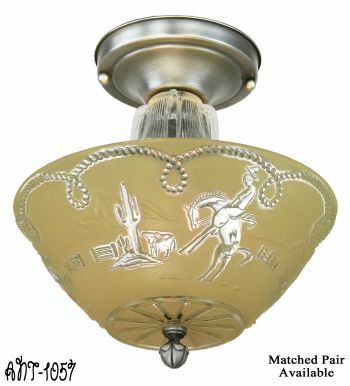 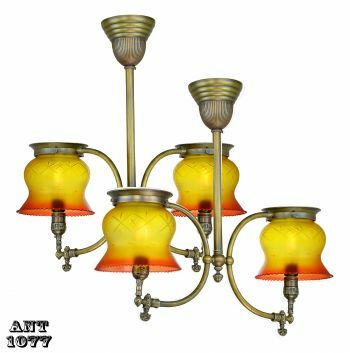 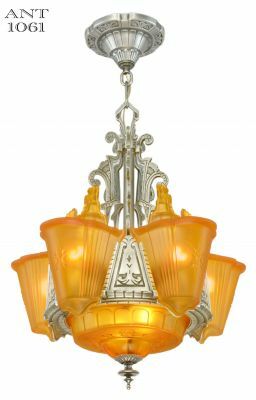 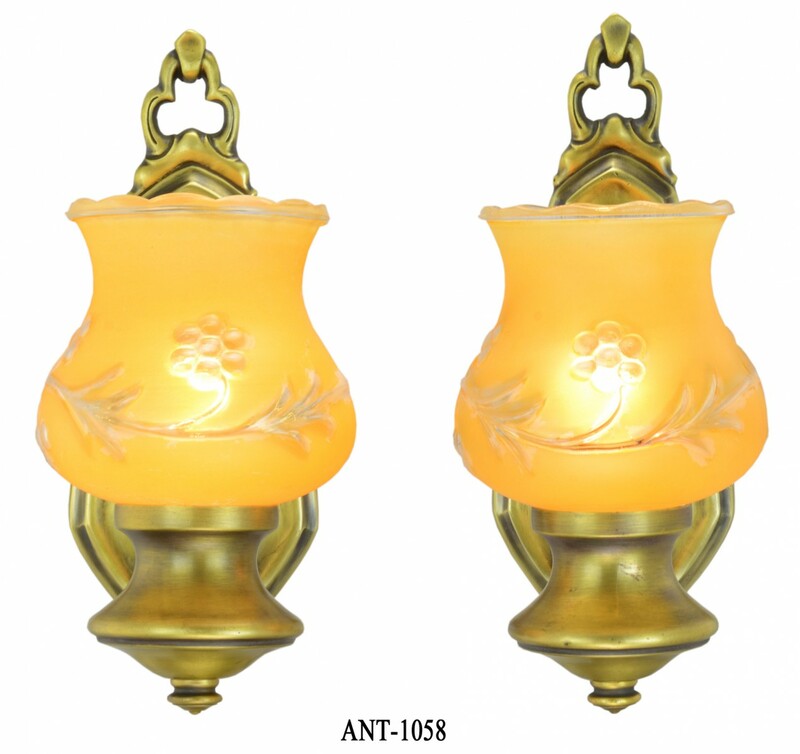 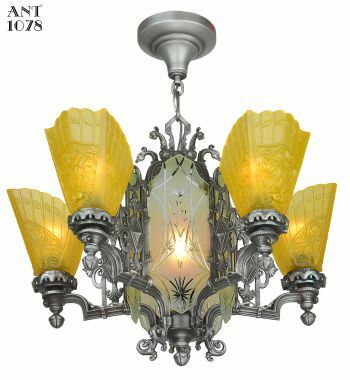 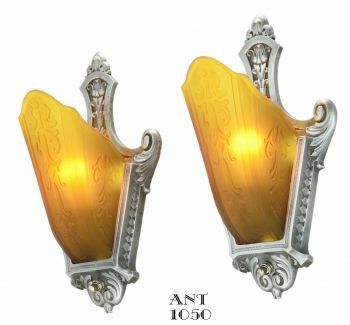 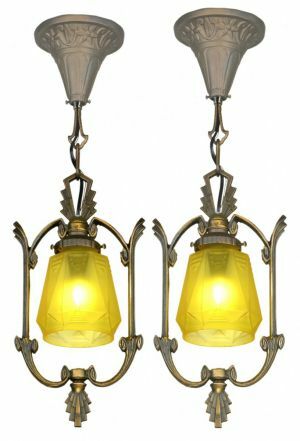 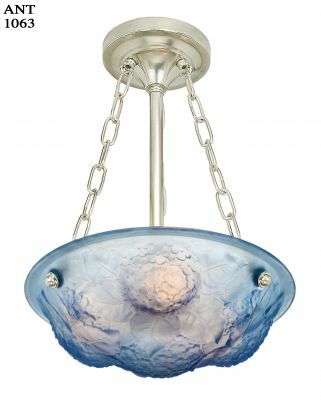 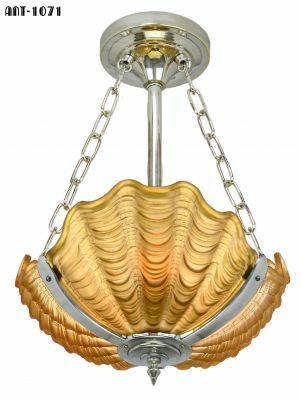 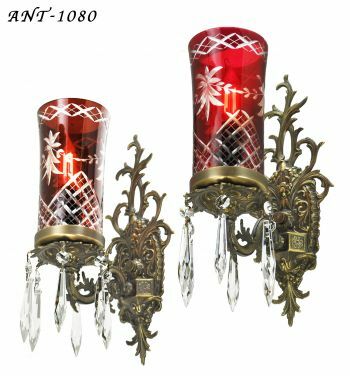 The amber shades are great embossed glass with a thick glass ruffled beaded pattern to the top edge with trailing floral motif in the center. 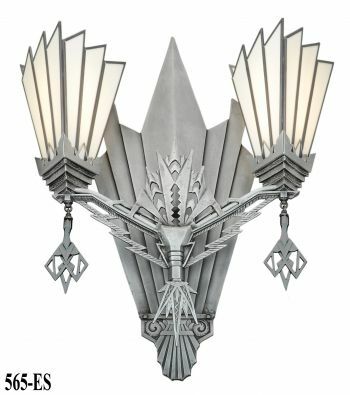 The shades are a bit taller than normal making it nice for bulb selection. 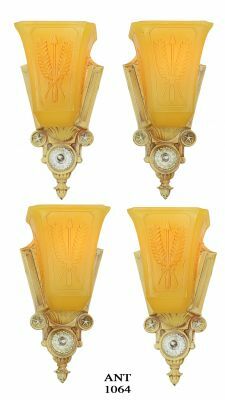 Measurements: 10" tall by 5" wide and the sconce projects from the wall 6". 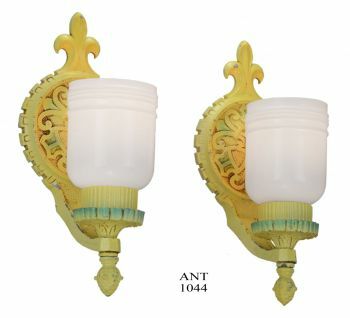 Completely re-wired to UL standards in our UL shop with new medium base sockets complete with new rotary switches.